Soft water systems are the best option for homeowners tired of dealing with the damaging effects of limescale. Defined as a chalky, hard deposit made primarily out of calcium bicarbonate, limescale is a known byproduct of hard water, which naturally contains high levels of bicarbonate ions like calcium and magnesium. In addition to being highly unsightly on your sinks and drains, limescale buildup can, over time, cause damage to dishwashers, ruin laundry machines, and do considerable harm to your home’s plumbing. 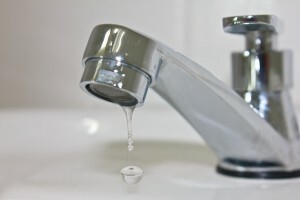 The only surefire way to ensure that limescale will never damage your property is to prevent it from forming, and the best way to do so is with a water conditioning system. Soft water systems work by chemically changing the composition of hard water, neutralizing it at a molecular level by removing the positively charged ions of calcium and magnesium and replacing them with negatively charged (and harmless) ions of sodium or potassium. You’ll want to ensure that the product you’re purchasing is a true softener that uses ion exchange, as other systems that simply seek to limit the effects of hard water are not as effective and cannot provide a long-term solution to limescale. What’s more, you’ll also want to ensure that the company you purchase from backs the quality of their water treatment products with strong warranties as well as comprehensive third-party testing. RainSoft is one such company. We’ve been a leader in residential water treatment since 1953, and are proud to offer a number of sophisticated soft water systems, including the cutting edge EC4 system, which softens water on a demand-generated basis to ensure that you always have just the amount of soft water you need. To learn more about the soft water systems we provide and install, contact your local authorized RainSoft dealer today. One of our representatives will be happy to answer any questions you may have, and may help you schedule a complimentary in-home water test to ensure that we can provide the most comprehensive solution for your needs.